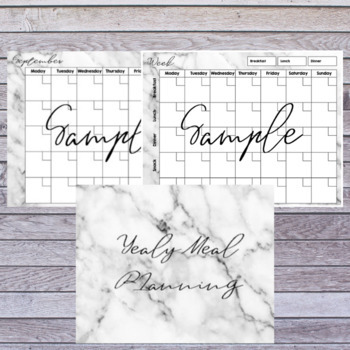 This file is used to plan meals weekly and monthly for a year. This is undated and can be reused each year. You can use the calendar and date it and fill in breakfast, lunch, or dinner meals. Or you can use the square to write how many kids where fed for taxes. The weekly is used to plans the meals and what needs to be prep and to have on hand to go to the store. The square can be used to write the number of kids eating in that meal and can be added up at the end and put in the top for in home daycare taxes.